With all the recent discussion about tourism in our state, being the ‘Wildflower State’ seems to get lost. Promoting and selling our flora is is the basic theme for the Perth Branch of the Wildflower Society talks for 2019. 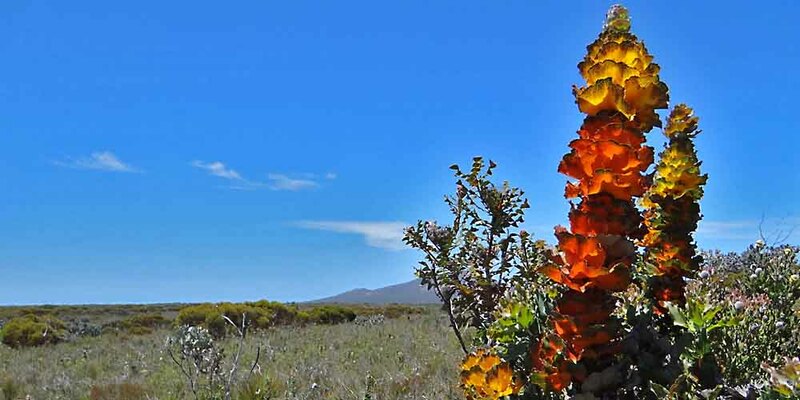 How can we introduce tourists to our unique truly world class wildflowers that make southern WA a biodiversity hotspot? During 2019 we will have people to speak who run tours, act as tour guides, write guides for tourists and have been tourists themselves. At our first meeting on Tuesday 12th February we will hear about interacting with campers at the coalface when Jeni Alford, botanist, consultant and a long term guide at Tozers Bush Camp. The bush camp is on 700 hectares of bushland adjoining Fitzgerald River National Park near Bremer Bay. With over 1700 species of Wildflower in the area, how do you interest people with many varied backgrounds and interests who have come to rest and relax on the beautiful south coast in the flowers of the region (which makes it an International Biosphere Reserve) without overwhelming them? Also perhaps encouraging them to stay a bit longer and/or keep looking at wildflowers on their travels and contributing to the local economy? Meetings of the Perth Branch of the Society are held on the second Tuesday of each month in the Subiaco Community Centre across the road from Crossways Shopping centre in Bagot Road. Doors open at 7.45pm and the meeting begins at 8pm. Supper is served after the talk and everyone is eligible for the night’s door prize. You do not need to be a member of the Society to attend, entry requiring a $2 door donation. The Wildflower Society uses its independent technical knowledge of WA’s wildflowers to help you better know, grow, enjoy and conserve the wildflowers of Western Australia.